GO TO OUR WEBSITE TO WATCH VIDEOS, AND I AM CONFIDENT YOU WILL CONTACT OUR FIRM! 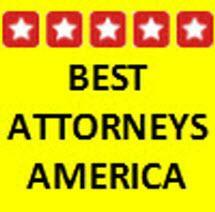 BEST ATTORNEY IN AMERICA, SUPER LAWYERS AND TOP LAWYERS IN INJURY AND WRONGFUL DEATH CASES. Nearly all our cases, with merit, we have been successful and have received some of the HIGHEST AWARDS in the state. In one year alone we've collected nearly $30 million. If you go to our website, you will see the details of our cases plus videos that will inform you of all different types of cases, client testimonies and how to pick an injury lawyer.